Denise Chapman graduated from Creighton University with a BA in theatre. She went on to receive her MFA from the Theatre Conservatory at the Chicago College of Performing Arts at Roosevelt University. After graduation she performed with Qwest Educational Programs touring elementary and middle schools in the greater Chicago land area. She returned to Omaha in 2006 and worked with Blue Barn’s Witching hour for three years as Co-Artistic director/ensemble member and at the Omaha Community Playhouse as the director of education and outreach. 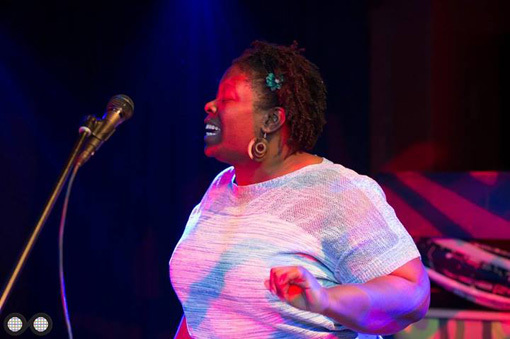 She is an active member of the North Omaha community working with organizations such as the North Omaha summer arts (NOSA) and is a founding member of the Black Artist Roundtable. She is a strong believer that art changes our lives for the better, it gives a voice to those who feel like they are not being heard, and expresses a vision of hope to all those who are touched by it. She is an alumni of the fellowship program at the Union for Contemporary Art and was an Artist in Residence at the Carver Bank project, a collaboration between Bemis and Theaster Gates.